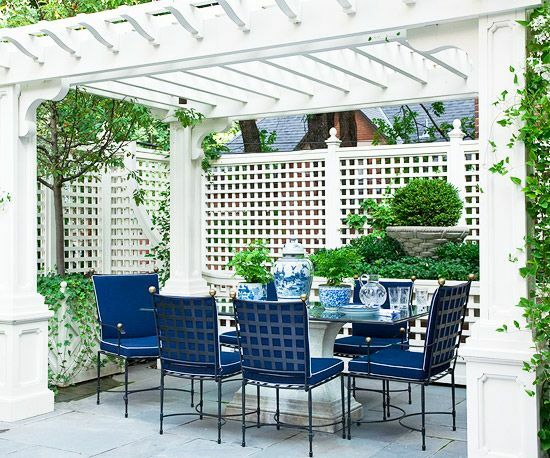 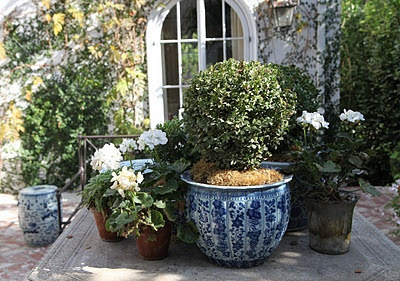 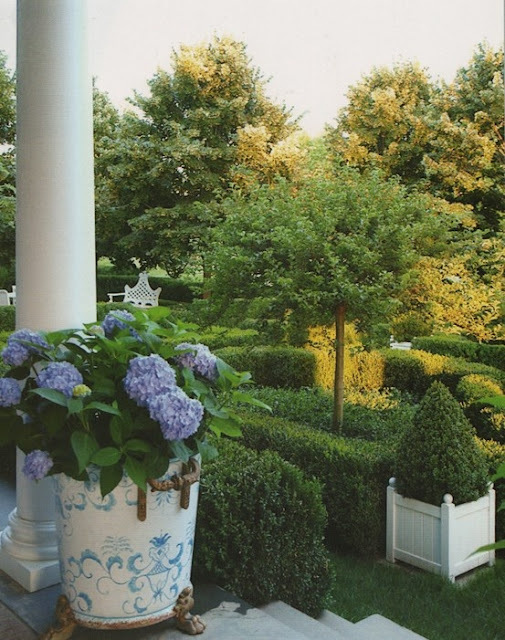 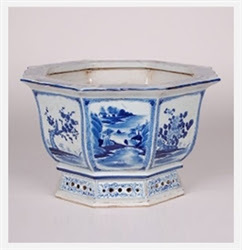 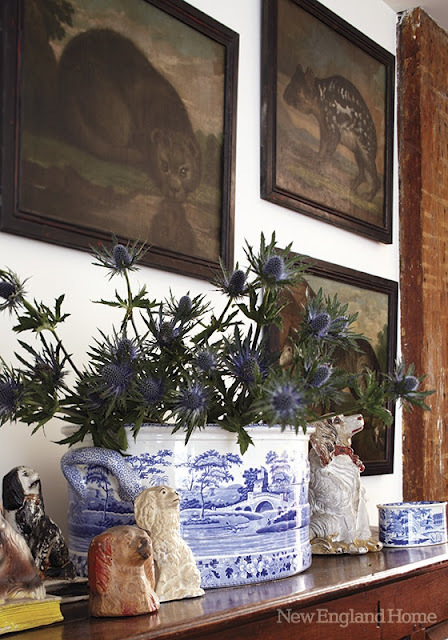 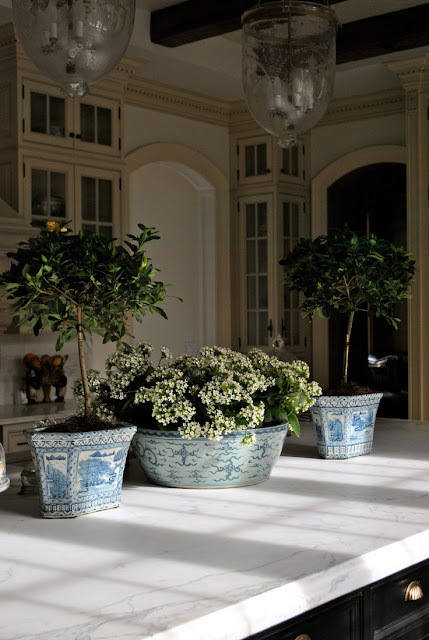 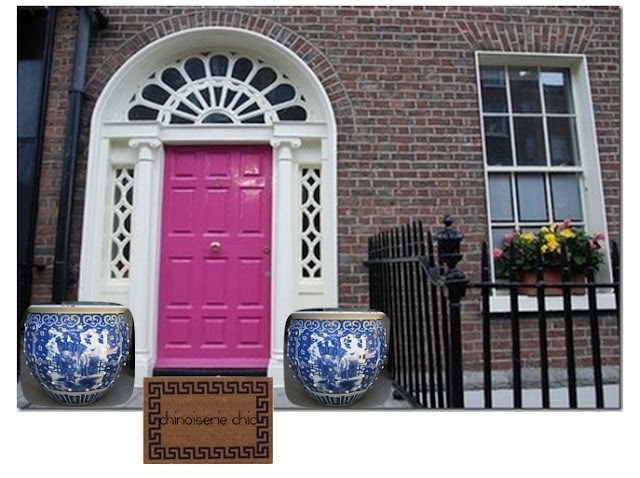 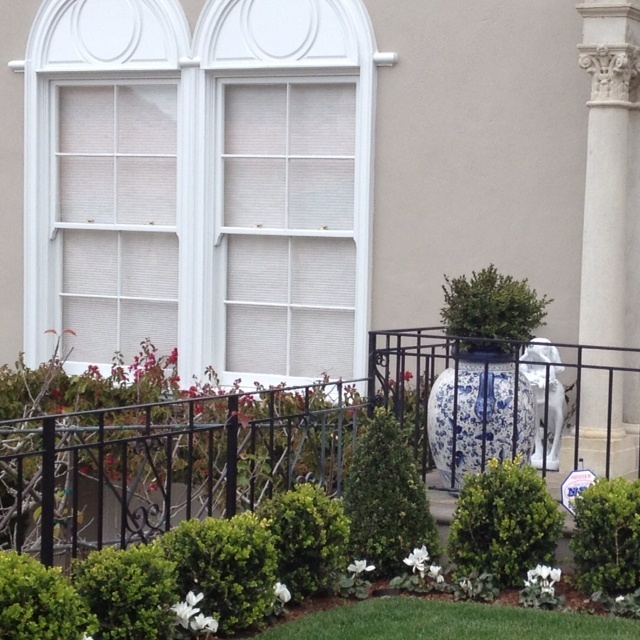 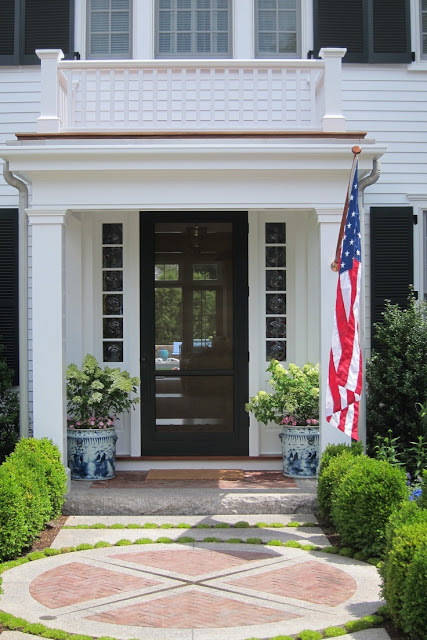 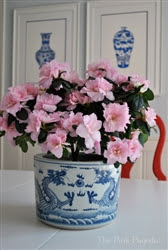 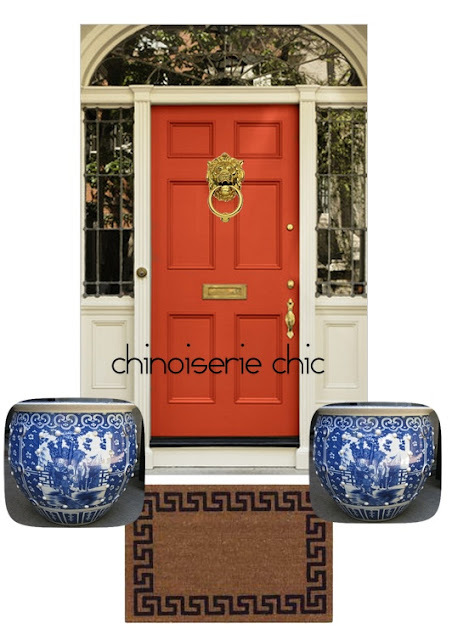 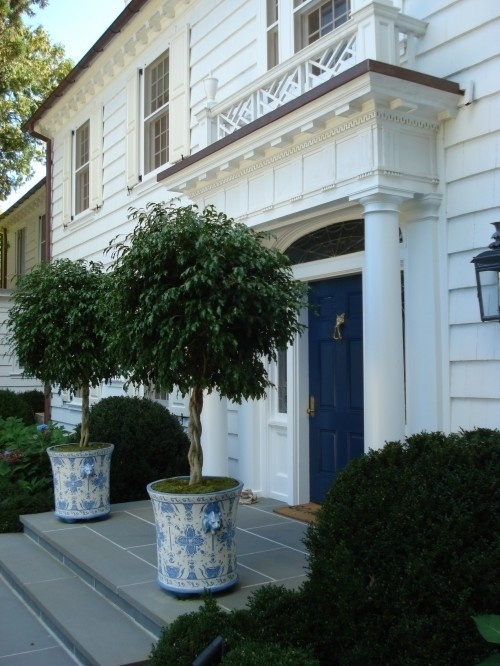 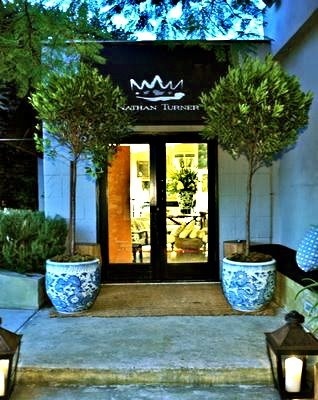 A wonderful way to use Chinoiserie indoors and out is with blue and white Chinese porcelain planters. 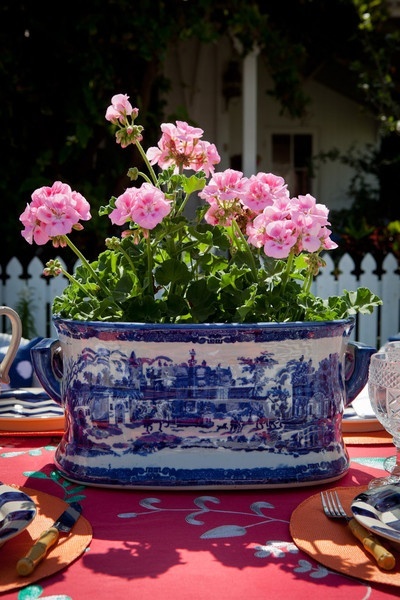 A beautifully curated collection in every size you could want is available online at The Pink Pagoda here. 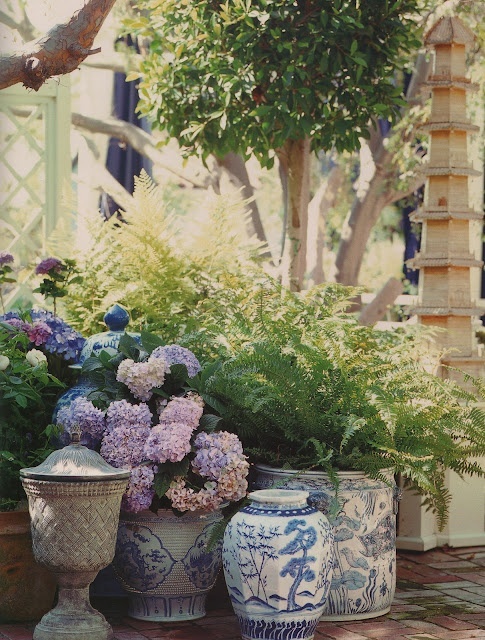 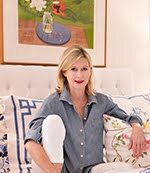 Below are some of my favorites from The Pink Pagoda and lots of photos of blue and white Chinese porcelain planters used indoors and out to inspire you. 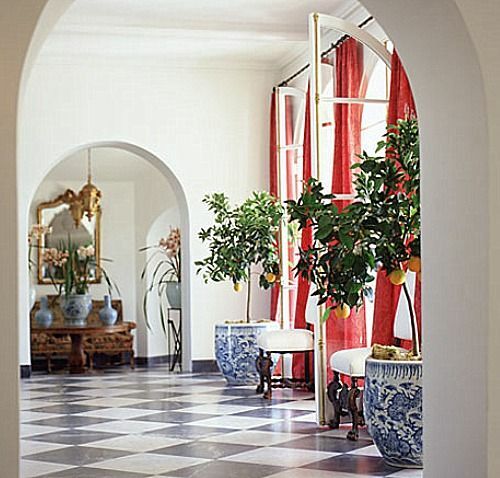 Indoors I especially love orchids, palms, and fiddle leaf figs. 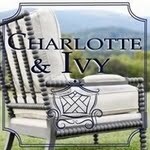 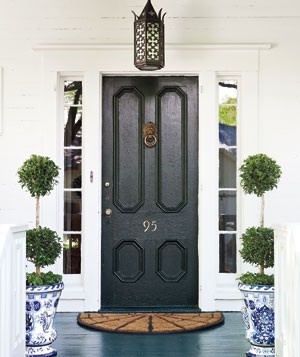 Outdoors, I love boxwoods, topiaries, and hydrangeas. 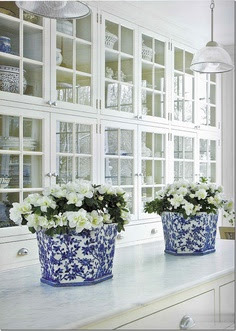 Gorgeous blue and white eye candy for the morning! 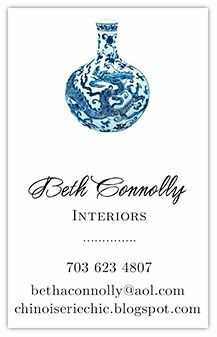 Thanks Beth and Jennifer! 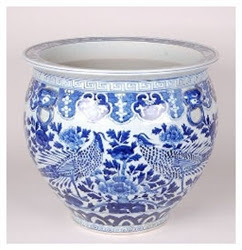 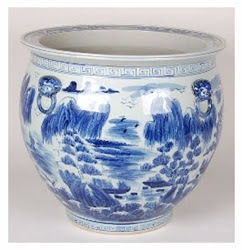 I absolutely love a blue & white Chinoserie motif. 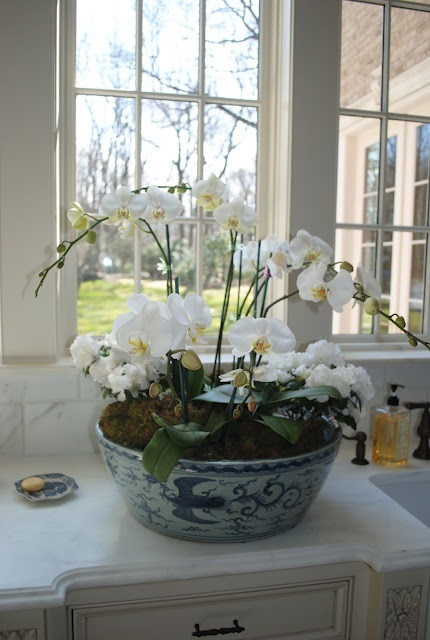 That's what my bathroom is done in. 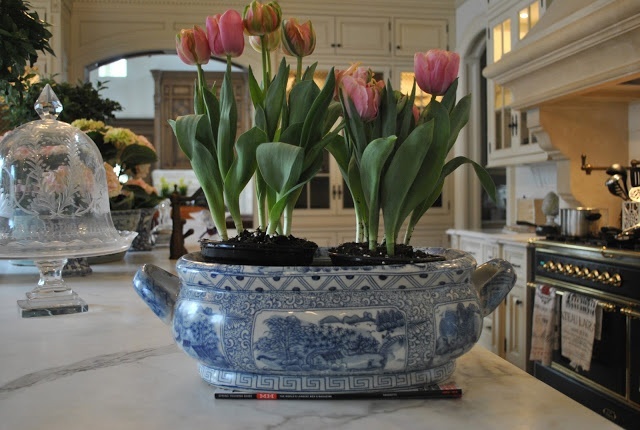 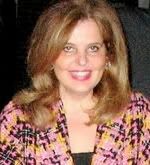 Thanks so much for sharing my porcelain today, Beth! 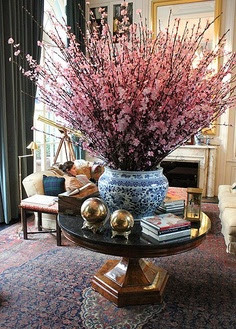 WOW... all these images are great! 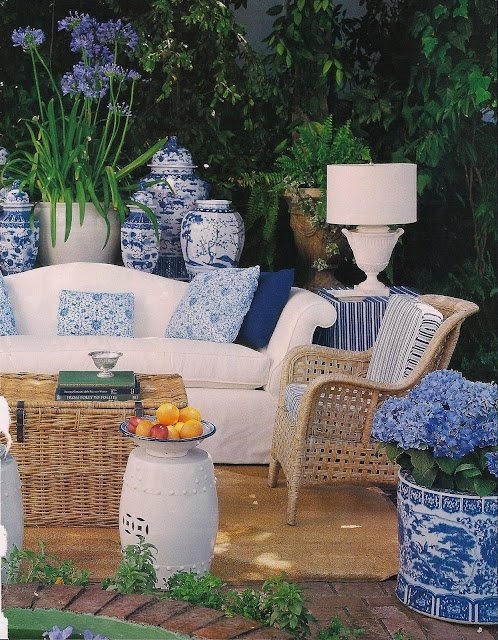 Blue and white have always been a favorite combo of mine.. especially around summertime. 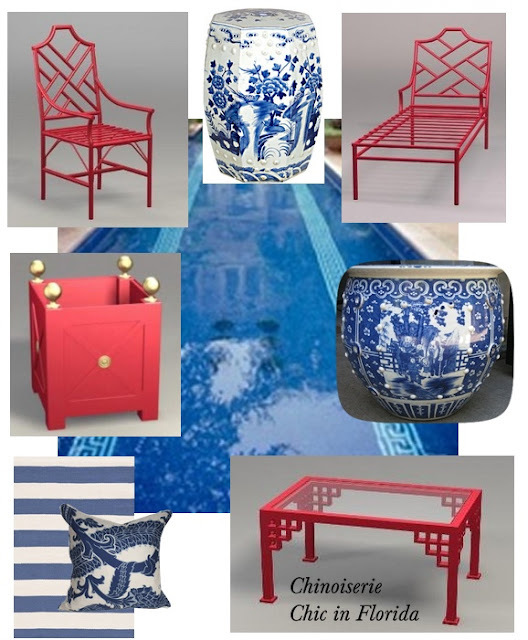 So naturally, I'm a fan of Chinoserie!! 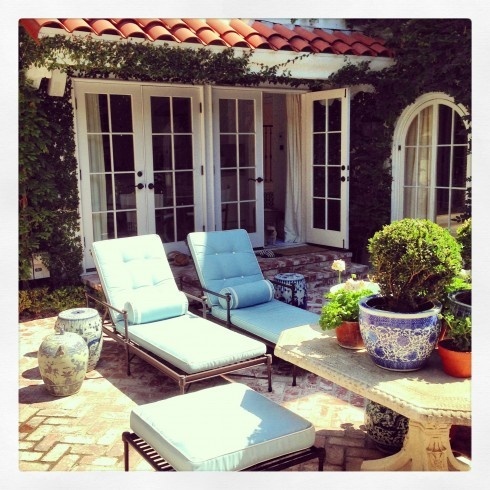 Gorgeous post, Beth! 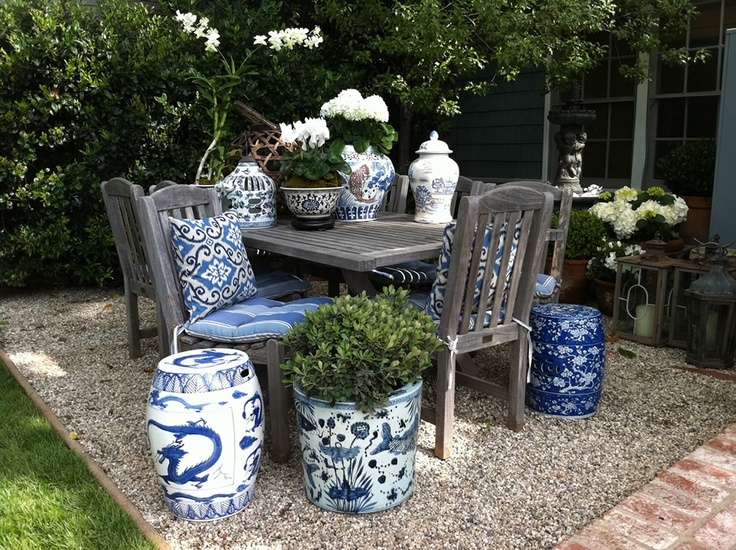 You know I love blue and white, and Jennifer's collection is gorgeous!